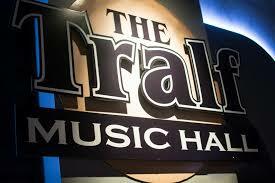 BUFFALO -- The Tralf has three blues shows upcoming in the next week starting with the Paul Deslauriers Band on Thursday. Recently crowned Entertainer of the Year, Electric Act of the Year, Bassist of the Year and Drummer of the Year at the 20th annual Maple Blues Awards. Paul Deslauriers is a Canadian blues guitar monster. An incredible showman and passionate performer. Seriously... this may be your new favorite band. Tuesday will see Tommy Castro and the Painkillers take the stage. Always exciting to have soul-blues rocker Tommy Castro back at The Tralf. Over the course of his career, guitarist, vocalist, and songwriter Tommy Castro -a six-time Blues Music Award winner have played thousands of shows to hundreds of thousands of ecstatic fans. Castro, along with his band, The Painkillers play music that is guaranteed to fill the floor and raise the roof. And then on April 5, the Ghost Town Blues Band will play the venue. Beale Street’s latest success story and 2014 INTERNATIONAL BLUES CHALLENGE 2nd Place Winner is Ghost Town Blues Band. Not your grandpa’s blues band, their live show has been captivating audiences in the U.S. and Canada with a second-line horn entrance, cigar box guitars and electric push brooms to Allman Brothers style jams and their rapping trombone player. This Memphis-based, gritty, seven-piece has been touring the US and Canada since its inception in 2009.